A safe, effective, fast acting formula. Removes rust, not metal. No sand blasting or heavy wire brushing required. Leaves metal clean and ready to paint, plate or powder coat. 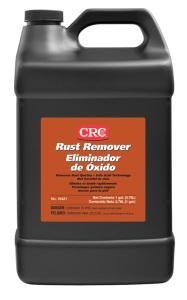 Applications Removes rust from tools, engine components, machine parts, fasteners, etc.